With baby boomers now hitting retirement age, the percentage of seniors traveling is expected to increase significantly. Senior citizens, who already make up a significant portion of the pleasure traveling population, will become even more important in the tourism marketplace. The world is a big place and there’s more to travel than Hawaii, Paris or Rome (beautiful and appealing though those destinations certainly are). Seniors looking for some off-the-beaten-path vacation destinations might consider some of the following. Wayne and Pat Dunlap are travel writers whose Unhook Now blog details some of their numerous trips. Seniors living in California who want to stay within the state and have a relaxing “road trip” vacation can gets some fine tips from the Dunlaps on what to see in northern California and the wine country. Want to try something a little further away from SoCal? The Dunlaps suggest lovely Orcas Island in Washington state. The island’s Moran State Park offers abundant opportunities for hiking, swimming and generally taking in the beauties of nature. There are numerous trips that nature lovers can take that put them in closer contact with wildlife. 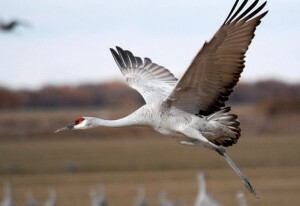 One of the lesser-known ones is a jaunt to the Platte River Valley in Nebraska to witness the sandhill crane migration, which generally occurs in March and early April. About half a million cranes pass through the area on their annual journey, providing ample opportunity for some once-in-a-lifetime photos. If you haven’t tried it out before, it would be worth giving it a shot. It is a rewarding and surprisingly exciting adventure. Nature lovers with an aquatic bent may want to head to Florida between November and March to try to spot the playful manatees that splash about at various locations in the state. There’s also a full-scale Manatee Festival for extra fun. This is the kind of vacation that grandkids might also enjoy. Countless Elvis Presley fans make a pilgrimage to Graceland; they’re missing something by not traveling on to Tupelo, Mississippi, the King’s birthplace. True, it lacks Graceland’s unique sense of grandeur, but Tupelo has its own Elvis Presley park and Museum which is worth seeing. There’s also the Tupelo Automobile Museum, featuring classic and antique cars, as well as numerous historical sites. Cruises are a very popular vacation option, but some may want to try a cruise that explores locations far from the Caribbean. AARP suggests five unusual cruise locations, including Kirkenes, Norway in the Arctic Circle and one of the southernmost cities in the world. Finally, and on a slightly different note, many seniors with pets are reluctant to travel; it can be difficult to find the right person to take care of their special little friend or they may simply wish to have a furry companion accompanying them. Finding a pet-friendly hotel can be challenging, but linked below is an AARP article that mentions a few hotels that welcome the feathered and furry. Sometime seniors or those caring for seniors find planning a trip challenging. The trained staff of HomeHero are good resources for helping you make sure your healthcare issues are considered when planning and brainstorming ways to accommodate those issues. Often, planning a trip requires teamwork – but it’s worth the effort. What are some of your favorite travel destinations? Send us your thoughts on Twitter @HomeHero or share a comment of Facebook!